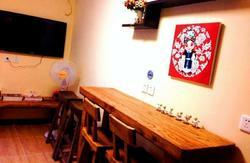 Deja Vu Hostel is located in Baochao Hutong of Gulou East Street - 'the heart of Beijing'. It's the perfect place to start your journey through this ancient and historical city. Surrounded by Beijing's ancestral 'hutong' community, authentic Beijing attractions are simply minutes walk away. 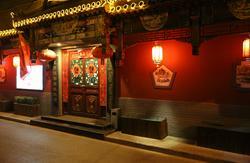 'Nanluoguxiang' The cultural pedestrian lane of Beijing is a living and breathing experience through the Yuan dynasty. The drum and bell towers which neighbour the beautiful Houhai Lake are surrounded by restaurants and bars where you can enjoy cuisine from all over China. Public facilities such as banks, supermarkets, and post offices are also minutes walk away. Gu Lou is also the music and art center of Beijing where youth culture blossoms with live performances never more than a few steps away. All rooms in Deja Vu are clean, comfortable and quiet. We offer IC security cards for door access, 24-hour hot water, western shower & toilet, air-conditioner, TV and free Wi-Fi throughout the hostel. Entertainment facilities include bar, billiards, computer (with Internet), reading corner and table football. Deja Vu Hostel also boasts an authentic Chinese restaurant where you can taste real Chinese food with real Chinese locals. Tourist attractions such as the Forbidden City, Tian'anmen Square, the Temple of Heaven and the Summer Palace are easily accessible by bus or taxi. Our hostel is easy to access from public transportation as there are two subway stations which are only 15 minutes walk away. From Bei Xin Qiao (line 5) (2 rmb) take exit D, cross over the road, directly in front of you is the bus stop. Take bus number 635 or 107 (1 rmb) just three stops to the Bao Chao Hutong stop. Walk ahead 20 meters and turn right into Bao Chao Hutong and walk straight. The hostel is l00 meters on your left. From the airport take the airport express to Dongzhimen (25 rmb) the terminal of the train. Transfer to line 2 (blue) (2 rmb) and go one stop west to Yong He Gong (The lama temple). Transfer to line 5 and take 1 stop south to Bei Xin Qiao. From Bei Xin Qiao (line 5) (2 rmb) take exit D, cross over the road directly in front of you is the bus stop. Take bus number 635 or 107 (1 rmb) just three stops to Bao Chao Hutong stop. Walk ahead 20 meteres and turn right into Bao Chao Hutong and walk straight. The is hostel l00 meters on your left. From Bei Xin Qiao (line 5) take exit D.
Cross over the road and turn left (east) down Gu Lou East street. Keep walking till you past a Mcdonalds on your right and reach an inter section. Cross over the intersection and take your fifth right into Bao Chao Hutong. The hostel is 100 meters on your left. Around 100 rmb depending on traffic, give the taxi driver the address, handy if you print it out in Chinese. 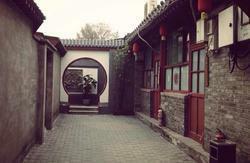 Once you have arrived at Bao Chao Hutong, turn right and walk straight till you see the hostel 100 meters on your left.